The RV Doctor: Sway Control for Short Travel Trailers a Good Idea? Sway Control for Short Travel Trailers a Good Idea? Tami, I am a firm believer in both a weight distributing hitch AND a sway control when towing any travel trailer. Even with shorter trailers, you will find the addition of a sway control device to be beneficial. The hitch assembly is the most crucial connection between tow vehicle and trailer so it just makes good sense to have as much advantage at that connection as possible. You’ll no doubt hear others state it’s not needed on the shorter towables, but I can show you a bunch of photos of wrecked units that the owners wished they would have gone that little bit extra. Call it cheap insurance, (relatively speaking, of course), but it will certainly add to the safety margin. 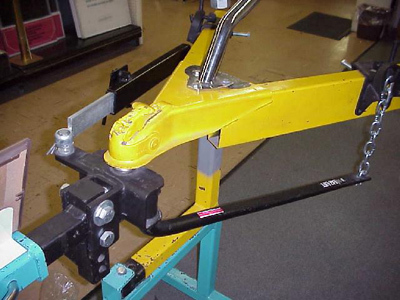 Also, be very sure all components within the hitch assembly, receiver, ball mount, spring bars, etc., are all rated for the loaded weight of the trailer, and that all parts are set-up properly. There are certain procedures for proper set-up and most are published on-line. But my number one rule is, never compromise the safety factor!